Ofcom has received more than 45,000 submissions to the review of media plurality prompted by issues raised by News Corporation's aborted bid for BSkyB. By Friday's deadline, the broadcasting regulator had received around 50 responses from organisations and individuals, about 15,000 submissions via campaigning group Avaaz, and around 30,000 from campaigning community 38 Degrees. While many of the 50 individual submissions are understood to have considered the wider issues, the responses from Avaaz and 38 Degrees were mainly focused on the power held by News Corporation chief executive and chairman Rupert Murdoch and his family. Avaaz campaigned against the News Corp bid. In this most recent activity, Avaaz promoted Ofcom's review as a chance to "End the Murdoch Mafia" and urged people to send a pre-prepared letter to Ofcom, asking it to "ensure that no person or corporation is allowed to own 20% or more of any branch of our media". 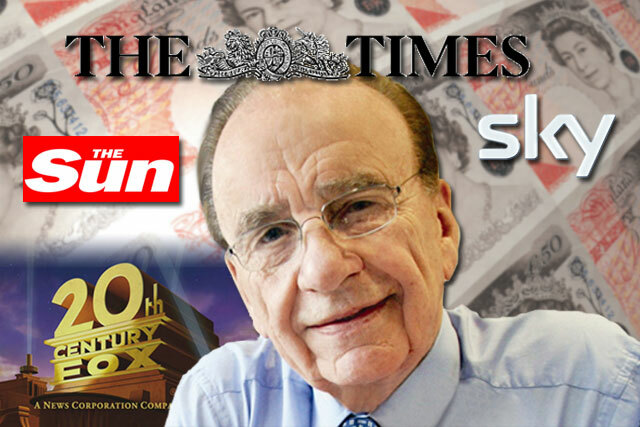 Throughout the News Corp bid for Sky, 38 Degrees also campaigned against the deal. On Friday (18 November), 38 Degrees members visited Ofcom's headquarters to hand in more than 30,000 messages in response to its 'Stop Murdoch For Good' campaign. In October Jeremy Hunt, the secretary of state for culture, Olympics, media and sport, wrote to Ofcom to ask it to assess how practical it would be to set limits on media ownership to protect plurality, and to recommend a framework for measuring plurality across media. Ofcom asked the industry for comment on a range of issues, including whether a framework for measuring levels of plurality should include websites, and what could trigger a review of plurality. An Ofcom spokesman said: "Ofcom has received a significant number of comments and responses to its work on measuring media plurality. We expect to report back on the questions that we have been asked by Jeremy Hunt, the secretary of state, next year." In Ofcom's report on the public interest test of the acquisition of Sky by News Corp at the end of last year, the regulator suggested that the current framework around media plurality might need to be reformed. At present, media plurality is protected by restrictions on national cross-media ownership and the media public interest test, which can be triggered on the grounds of plurality when there is a merger, but not when a company grows organically.